The sound of the waves is very soothing and this location is ideal. 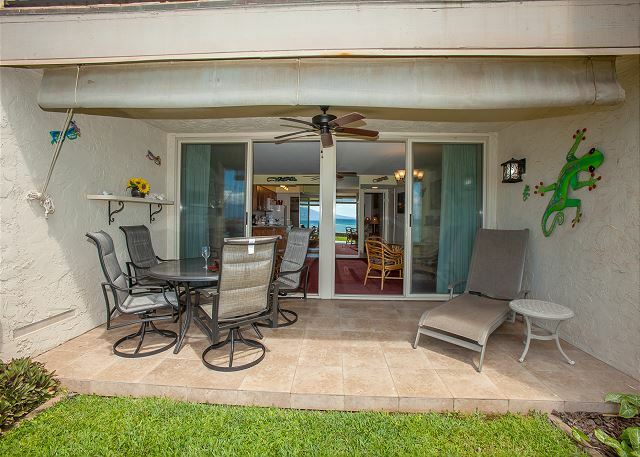 The water is right outside your double lanai doors. The nearly private beach is just steps away for snorkeling and swimming with the turtles and fish. Everything you need is within walking distance so you could go days without getting in your car. Walk down to the farmer’s market — a very short walk — and get the best papayas, pineapples and mangoes, along with a lot of other things (don’t miss the guacamole!). 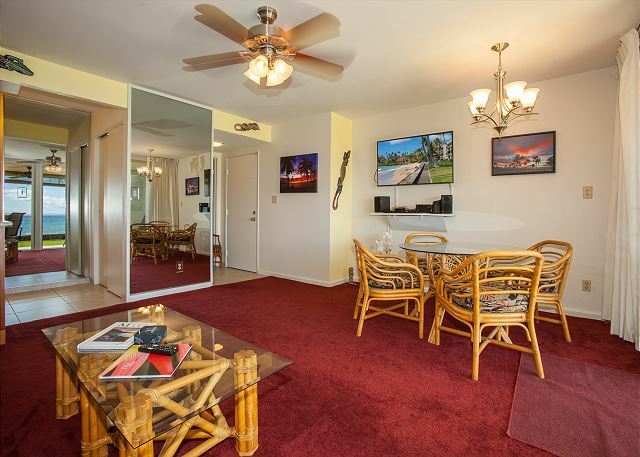 This unit has a great, quiet location, You can sit on your lanai and enjoy the ocean and the beautiful views, including the sun setting directly in front —– right between the islands of Molokai and Lanai. AC is optional in bedroom only for $10/night! We just had a great time in Lokelani Unit #A103. 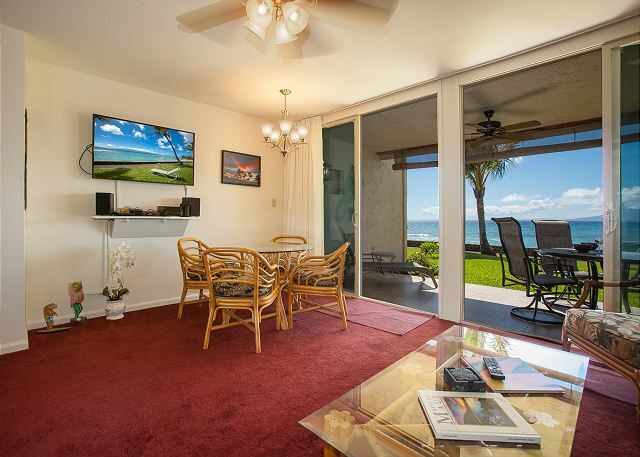 It is unbelievable to have the ocean just off the patio with amazing views of Lanai and Molokai. 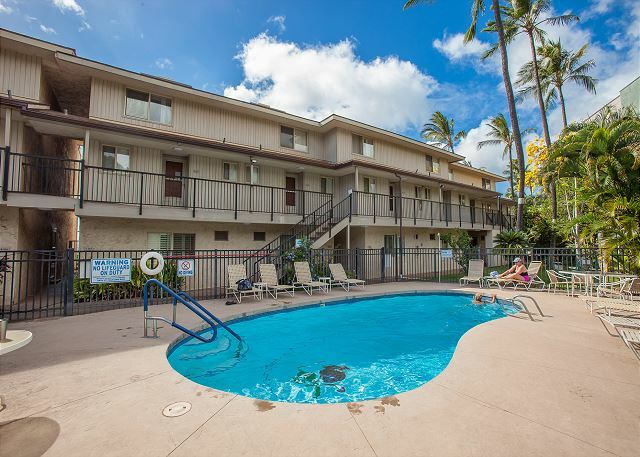 We have returned to Lokelani over numerous years and continue to enjoy great service. 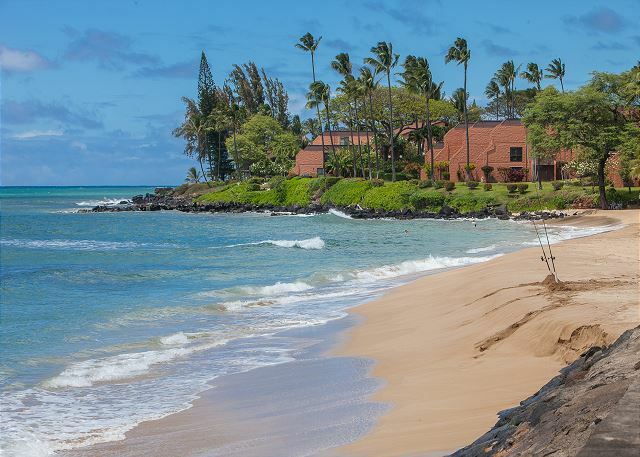 Location is unbeatable as a quiet spot between Kaanapali and Kapalua. I highly recommend it! Mahalo for staying with us again. We look forward to your return! We had a great time basically relaxing on the lanai and watching and listening to the surf. Had the good fortune of seeing some whale activity as well as dolphins and jumping fish. The condo was feet away from the ocean and very clean and neat. The management were very friendly and helpful. 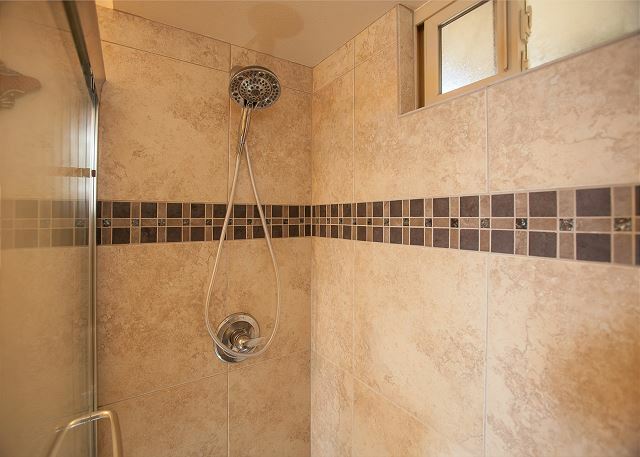 The condo is in a great location and is fully equipped. The manager went out of her way to insure everything was just right for us and answered our many questions right away.The kitchen has everything you need to cook at home, everything is clean and comfortable. The patio furniture is some of the nicest patio furniture on that first level of the building. They provide towels and beach chairs (if you ask for them). Perfect peaceful getaway! 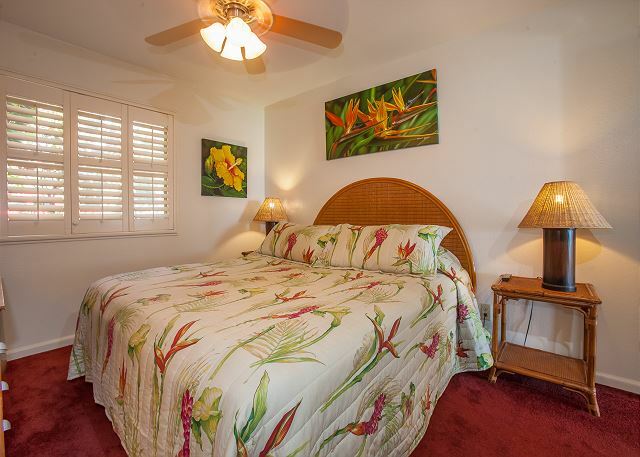 We were clelbrating our 35th wedding anniversary, and this unit at the Lokelani was exactly perfect for us! Staff wasn't available on the weekend, when we got there, but an issue with the AC was handled by phone. The beach was not easily accessible, but other great beaches were nearby. We loved hearing the sound of the waves right outside our unit! Aloha and Thank you for staying with us. Yes our office is closed on the weekends but the rental manager is available by phone for emergencies. Mother nature sometimes takes the sand away for awhile and then it returns. 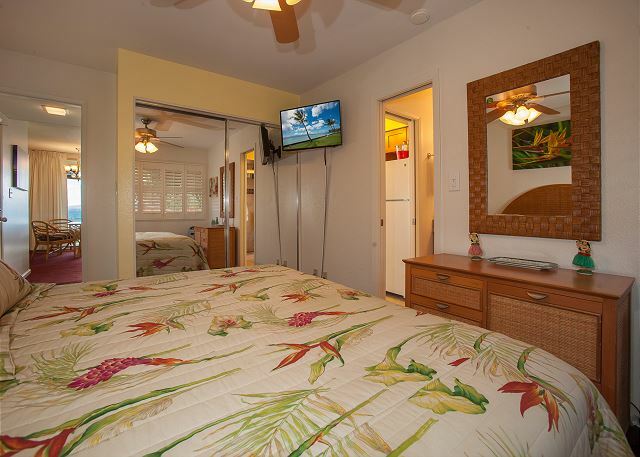 We enjoyed our Maui experience and our nice little condo at Lokelani. Beautiful views, nice beach and everything we needed for our vacation. We will definitely stay here again. The location is very good and the staff nice as well. We loved it. Our honeymoon stay at Lokelani Condos was amazing! We couldn’t have imagined a more perfect view and experience. The beach was only footsteps away, the peace and quite atmosphere was enjoyable, and of course the sunsets were 10/10. I would definitely recommend Lokelani to others, and we plan on returning next year again. My only regret is not staying longer. Thank you for staying with us. We do hope you return soon and are so glad you enjoyed your stay. 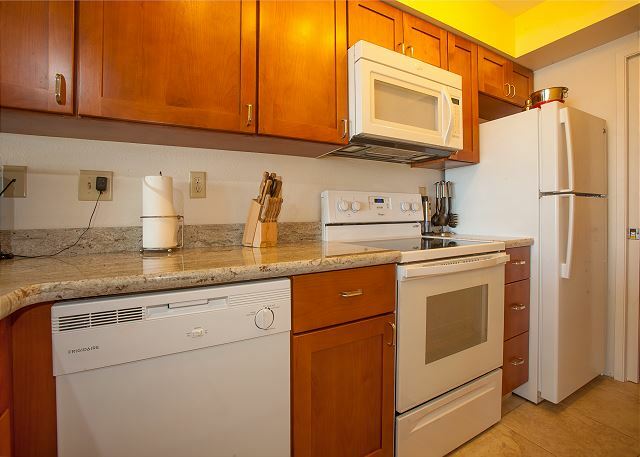 Great service, great air conditioning, great kitchen, excellent view, very good rental rates. We loved this place, we would come back & stay there every time. Beautiful place to stay. Condo was clean, well furnished and right on the water. Who could ask for more?! Probably the best OCEAN VIEW you can get! Thank you for staying with us . I hope you return soon. Thank you for staying with us. We look forward to having you back. We had an amazing stay. Thank you! Thank you for staying with us and we hope you will return soon. Great Condo - Great Location!!! 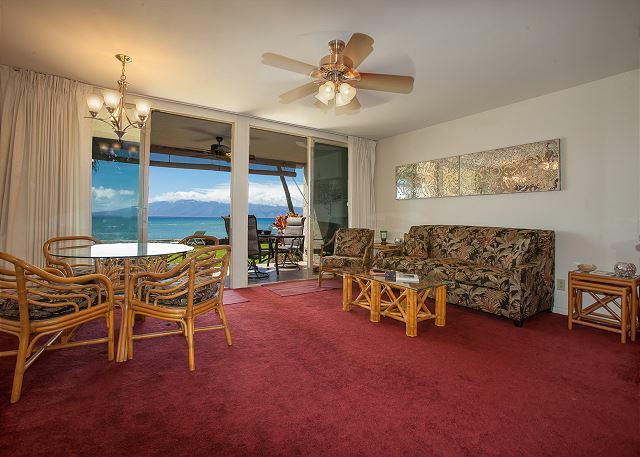 Our time at the Lokelani condos was absolutely wonderful. We stayed in unit A103, located on the ground floor of this 3-floor complex. 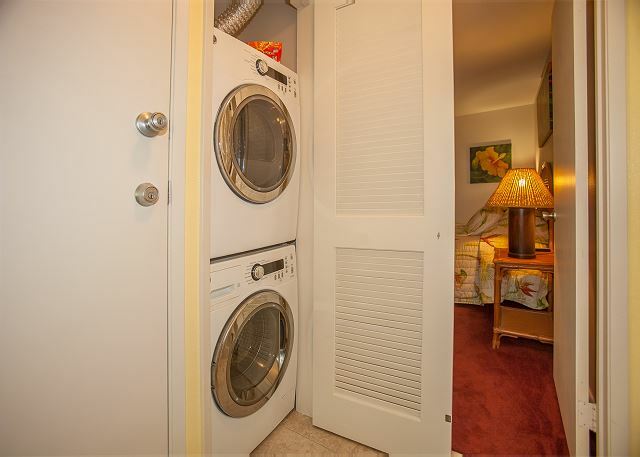 The unit was ample sized and well stocked with housewares and supplies. We payed the extra $10/day for the bedroom air conditioning, which was a must for us. 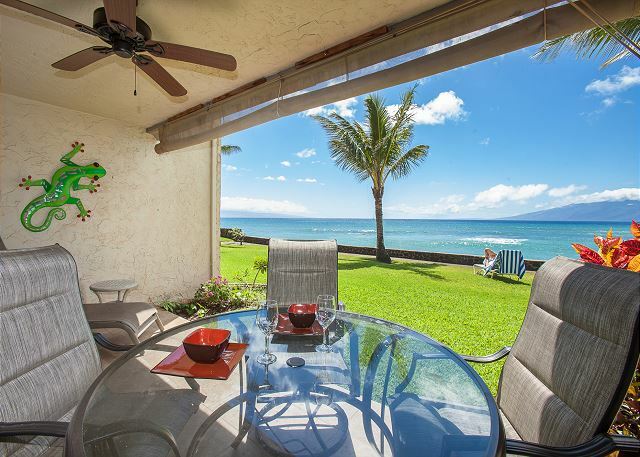 The patio/lanai gave us a great view (especially at sunset) of the ocean. Turtles were seen frequently on the rock seawall outside the condo. We also had access to a small beach area next to the property. The management staff at the office was great, but we had little reason to see them because everything went so well. During our stay we had a good lunch at Duke's Beach House and took in one of the best magic/comedy shows we've ever seen at Warren & Annabelle's. We celebrated our anniversary at Mama's Fish House, where the atmosphere was unbeatable, the service top-notch, and the food delicious. The road to Hana was a must-do experience (use the GyPSy Guide app for Maui as a road guide). 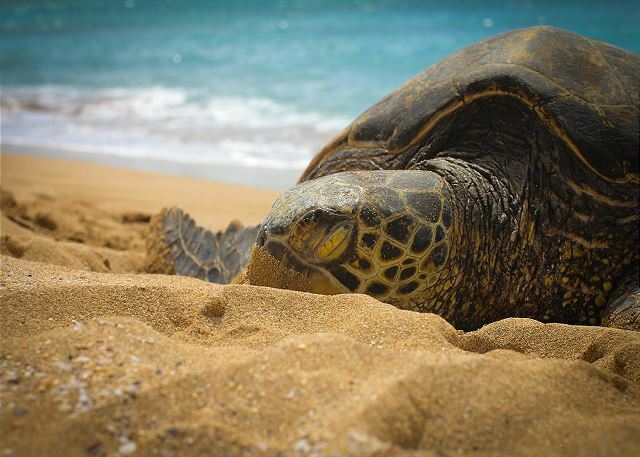 We also recommended beach trails in Kapalua and Wailea for some great ocean views. A day trip to Oahu/Pearl Harbor from Discover Hawaii tours was a great way to see the memorial and tour the entire island. 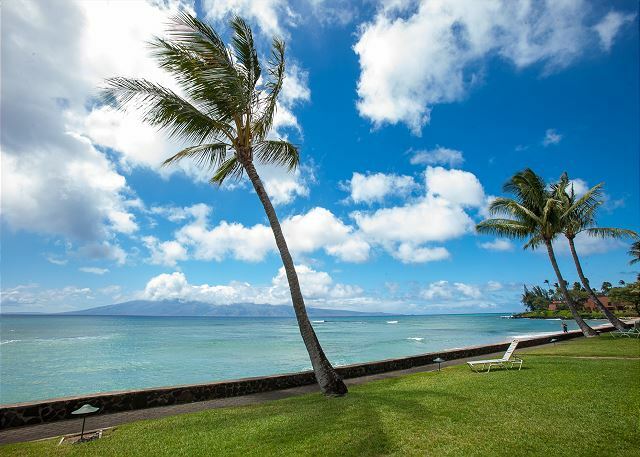 I don't believe we could have asked for a better location, accommodation, or experience for our vacation to Maui. I highly recommend this property, particularly unit A103. What an incredible location! We were absolutely blown away by our stay here which is better than you could ever imagine from the description. You couldn't stay much nearer to the sea which makes this property breathtaking. We arrived at night and woke up to see the most magnificent sunrise through the glass patio doors. You couldn't ask for a better view from the patio to have your meals on. Turtles came regularly to feed on the rocks right outside the condo so you felt so close to nature. There's a small private beach for this set of condos and those next door which turtles come up to sleep on (check out my photos attached). The condo itself is extremely well equipped with excellent facilities in the kitchen, better than any self-catering accommodation that we have been in before. The decor is more modern than the photos show. It is very spacious for two people with a very comfortable large bed, excellent hot shower, dinner table, sofa, outside furniture and so much more. I honestly can't say a bad thing about the property, we were absolutely delighted. Thank you for staying with us. We are so happy you enjoyed your stay. we do hope you will return soon. Absolutely wonderful!! Relaxing with the. Eat view ever!! Thank you for staying with us again. We look forward to your return. Located direct at the beach. Beautiful sunset right in front of condo unit every evening. Green turtles swim in front of the sea wall. Convenient location to supermarkets and eateries. Nice and quiet property with small number of units, all facing the ocean. Clean unit with essentials. Helpful and friendly management. Could not be more pleased with the experience. 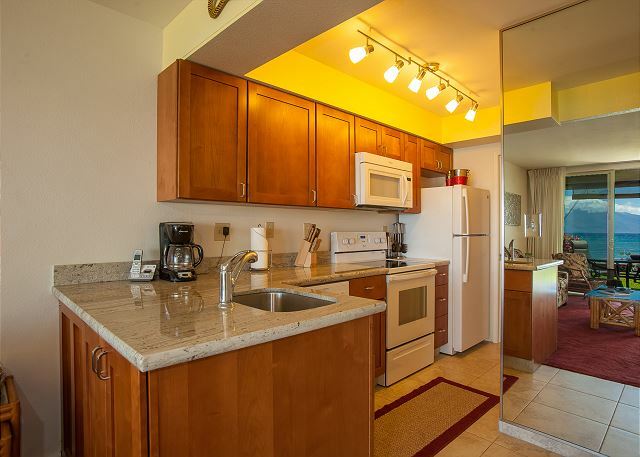 The condo was well equipped and located in a great location. 100 yards to a nice beach and within a short distance of a plethora of food options. We hope to stay here again. a great place in maui!!! We have been to the Lokelani several times and each time we enjoy it more! The ocean as your back yard can not be beat! thank you for your review. we look forward to having you back. Best place we have stayed on Maui - and now we go back there every year. Clean, quiet, nice furnishings, great rental team, reasonable prices, great location. 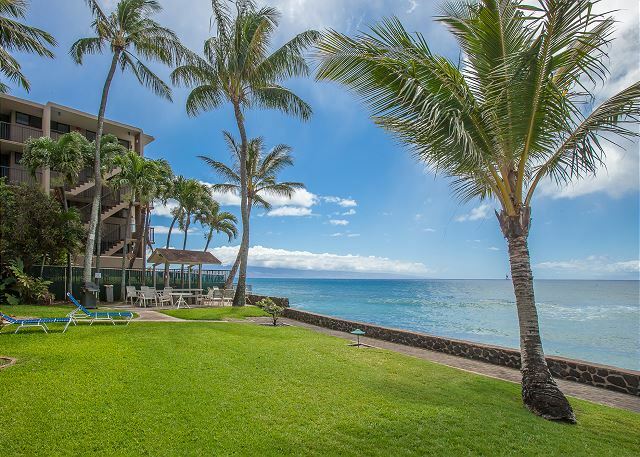 We watch the whales and sea turtles from our lanai (patio). Thank you for staying with us. See you next year! Fantastic place to stay for a perfect vacation. 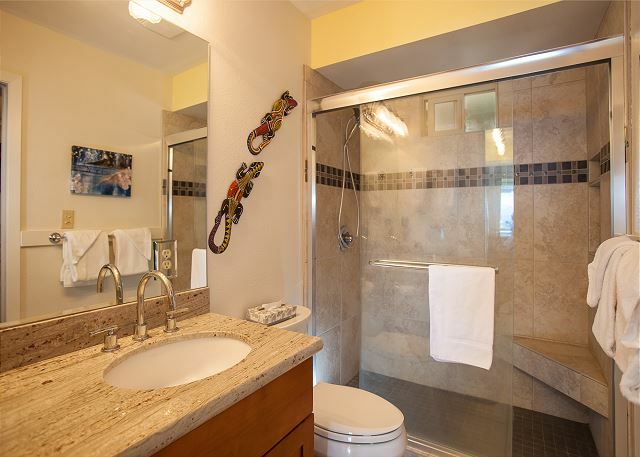 The condo is beautifully updated with all the amenities and utensils. The location was the best part for us as there is Farmers market right across the condos. The only issue was in summer the bedroom gets a little hot due to no air flow there. Aloha, Thank you for staying with us. Unfortunately not all our condos have A/C. we hope that you will stay with us again. The unit A-103 was a fabulous rental! Loved the sunsets and the little beach along side the complex. The unit had everything you could think of and we used so little of it but appreciated this fact. We only found the snorkelling equipment well into our stay - maybe the owners should mention their whereabouts. Bed was very comfortable and the fans helped cool the air. Noticed the air conditioning unit in the bedroom was locked? Not sure why it's not available for guests. We never mentioned it to the staff as we got by with the fans overhead. Overall very happy with our stay! 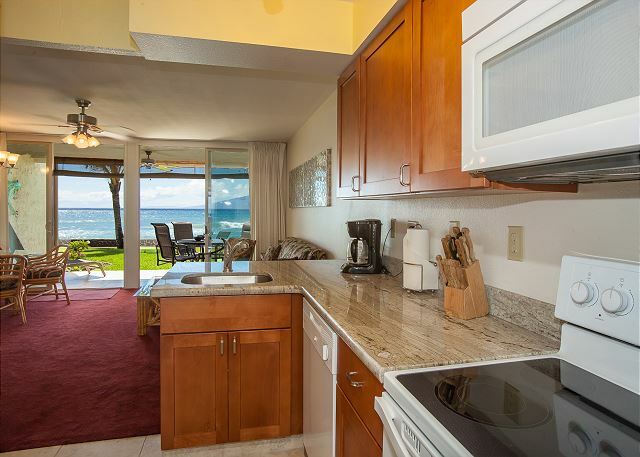 We had a fantastic experience at Lokelani condos. This was my second stay and I can't wait to come back. Thank you for your help with the event as well as your kindness and flexibility. This is a beautiful location with clean grounds and accommodations. Feel in love with Lahaina. Loved the condo and the view was spectacular. Highly recommend this condo to everyone. Overall very nice condo though some items need/needed replacing like the old fan that broke (and was thankfully quickly replaced) and a broken garbage can and rusty knife set that needs replacing. Unfortunately a tree was replaced while we were there and the pool was closed for a day for repairs. We realize that this couldn't be helped but it did impact our stay a bit. Otherwise it was great. Imagine sitting on your patio watching whales breach just off shore...or just watching the sun go down with a wonderful sunset. It doesn't get much better when you want to unwind. 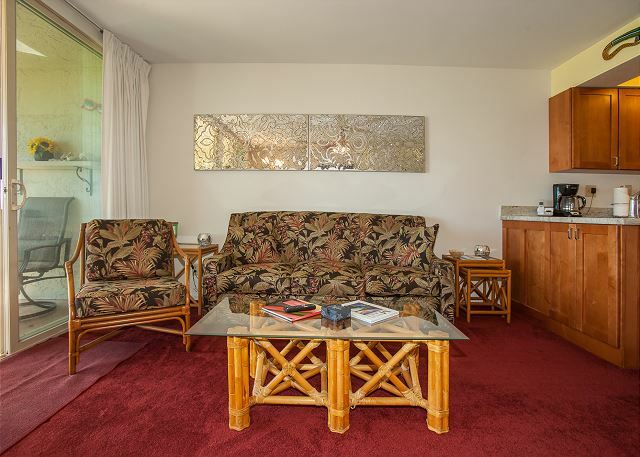 Lokelani is a charming small condo unit - so refreshing from the large commercial hotels and resorts. 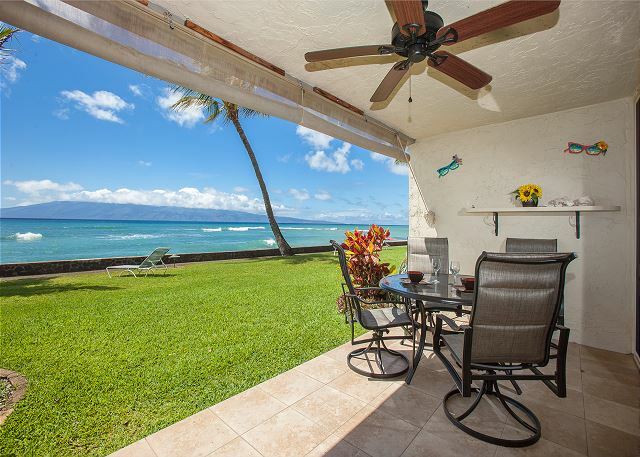 Our lanai was only about 12 feer from the short retaining wall to the ocean. Large sea turtles swam around just a few feet from us. The small private beach was quite enjoyable. The accommodations were clean and comfortable. Great unit !!! Comfy bed, wonderful view, appliances really good (except for anemic A/C). Loved it!! My wife and I stayed a week in the newly renovated A103 unit. Absolutely loved it! 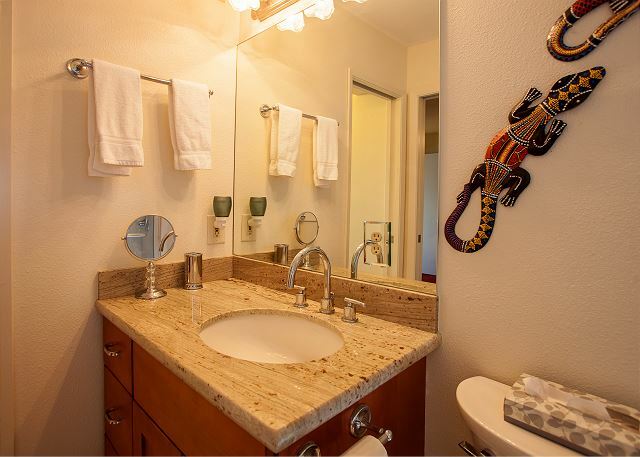 The updates are very nice and the place is well stocked with just about everything you will need. The view, quite honestly, is one of the best we have experienced in our many trips to the islands. Highly recommend this place.